Australia’s leading steel building company Wide Span Sheds (WSS) now offers assistance with Council planning and approval to its Affordable Home customers. Affordable Homes Manager Allan McNaughton said that by using Wide Span’s preferred consultant the company would offer $500 toward fees incurred by Council when constructing new buildings. Allan said the company was selling over 30 homes a month and was continuing to experience exceptional growth for many other reasons. “We only offer a high standard of customer service, and have a quick quote turnaround generally of around 24 hours. There are so many advantages to our affordable homes. They are budget-friendly but can still be designed suit most requirements. All buildings come with complete engineering plans. 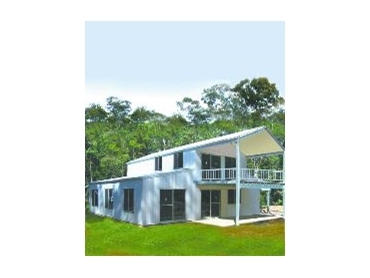 The Aussie Retreat home also comes with full architectural plans, ready to submit to Council, Allan said.